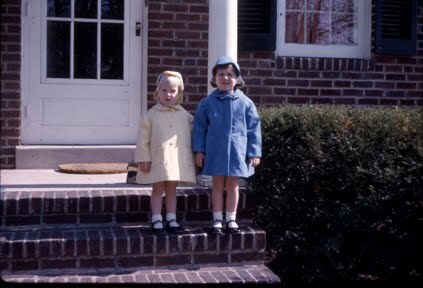 Happy Easter ...had to post this photo of my sister and I back in 1966 in our Easter outfits that my mom made. I'm hoping we're going back to these days of handmade...home made outfits and simple traditions of the old photograph on the front steps of the house. Anyone else have a similar pics? Lets share.